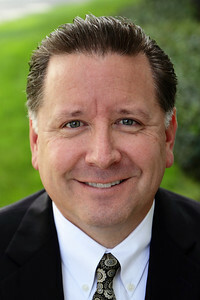 Manassas, VA– Dr. Mike Fabarez, Host of Focal Point, will share a devotional message at the annual meeting of the NRB Board of Directors on Saturday, March 2, 2013, in Nashville, TN. The meeting will be one of a wide range of events taking place during the NRB 2013 Convention & Exposition, which will bring together Christian broadcasters and communicators from across the nation and around the world for four days of innovation, inspiration, and conversation. Dr. Fabarez is the Founding and Senior Pastor of Compass Bible Church in Aliso Viejo, CA. He is also heard on hundreds of stations across the country through the Focal Point radio program, and has authored several books, including Preaching That Changes Lives, Why the Bible?, Praying for Sunday and Getting It Right. Dr. Fabarez graduated from Moody Bible Institute with a Bachelor's degree in Bible and Theology. He later earned his Master's Degree from Talbot School of Theology and a Doctorate from Westminster Theological Seminary.